The provisional figures corresponding to the close of FY 2016 for the Machine Tool and Advanced Manufacturing Technologies sector indicate a turnover in excess of 1.5 billion Euros, increasing by 1.8% over 2015 figures. Thanks to the increasingly longer project maturity times, part of the turnover will be materialised in 2017. There has been very little change in metal cutting and metal forming, as in the case of components, tools, accessories and machining. 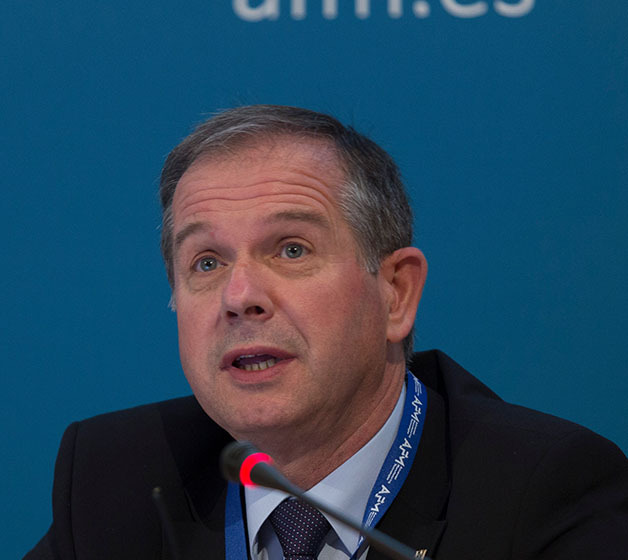 The president of AFM, Antxon López Usoz, states: “Despite the data showing a slight growth in aggregate figures, the truth is that 2016 has been a complicated and turbulent year.In the area of machines, metal cutting has suffered in its ‘traditional’ markets (Germany, China, USA, India, Russia or even Spain) that have shown clear signs of weakness.So, despite having achieving a similar turnover to that of 2015, this has meant that order capture has been complicated, and the turnover has dropped slightly.Metal forming, however, drawn by the high investment volume of the car industry, has recorded historical capture figures in all markets, which predict a very interesting production activity throughout this year.With regards to the other subsectors, components and accessories have evolved in a similar way to the machines that they form part of, and tools have grown in a context where industrial activity maintains a reasonable pace”. Exports rose by 3.7% in 2016, reaching 1.15 billion Euros, very close to the highest figure that was reached in FY 2013. In the analysis by countries (with data until the month of October), China recovered top position, followed by Germany, Mexico, USA and Portugal. The following five countries are Italy, France, Poland, United Kingdom and Hungary. The return of China to the top of the ranking after its marked decline in 2015 (year when the figure dropped to practically a third of the 2014 exports) is noteworthy, and although there is still a long way to go before returning to that figure, it is growing soundly in a market that is difficult to interpret. Germany has repeated the data of the previous FY, but still far from the figure reached in 2012 or 2013. With very good results, Mexico has increased by 22% and is now in third position for the first time, and the USA, the first market in 2015, has dropped to fourth followed by Portugal. Pendiente todavía de cerrar el mes de diciembre, se espera un interesante crecimiento de dos dígitos, que como se comentaba, encierra una situación desigual para el arranque (previendo una ligera caída) y la deformación (que apunta a un buen crecimiento). El sector se cimenta sobre una estructura de empresas que conforman un gran clúster, con una muy interesante concentración de industrias en un mismo ámbito geográfico, lo que refuerza la competitividad de las empresas que participan y también los intereses de cooperación. “Con un corazón que habla de tecnologías de fabricación y máquina herramienta, AFM reúne también en su seno a sectores tan enraizados y complementarios como son el mundo del mecanizado y transformación metalmecánica, y la fabricación de herramientas de mano y productos de ferretería industrial. Con más de 330 empresas, el Clúster de la Fabricación Avanzada AFM, va a centrar sus esfuerzos en 2017 en potenciar entre sus empresas el aprovechamiento de las sinergias que se generan dentro del colectivo, y fomentar el incremento de la competitividad a través de la cooperación”, concluye el Presidente de AFM. Asamblea general AFM Clúster: 5 de mayo, en San Sebastián, Parque Científico y Tecnológico de Gipuzkoa. Addit3D- Ferroforma- Subcontratación: del 6 al 8 de junio en BEC (Bilbao). EMO Hannover 2017: del 18 al 23 de septiembre en Hannover. 21 Congreso de Fabricación Avanzada y Máquinas–Herramienta: del 25 al 27 de octubre en San Sebastián, Parque Científico y Tecnológico de Gipuzkoa.